While we love glitter, sometimes you needs something different. 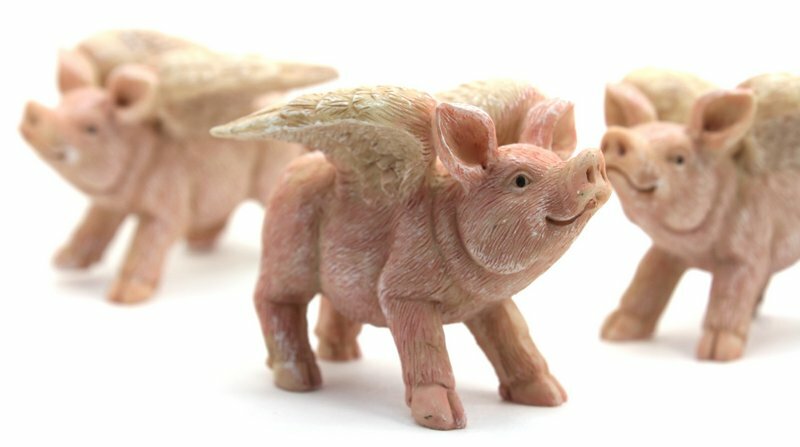 Well, this is something different, Winged Pink Pigs! They are only about 2.5′ long, an d made from cast resin. 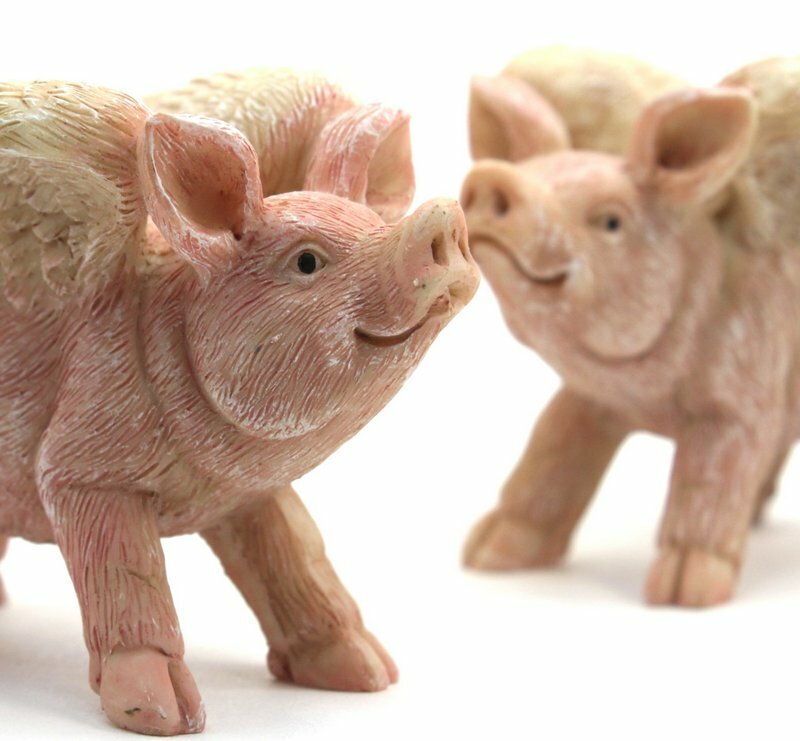 They are painted a nice “farm yard pink” and our ready to soar over your fairy garden, train layout, or to just hang around your craft room. And yes, we do tend to seek out “different” things, and when I saw these, I knew I had to have them for the shop! 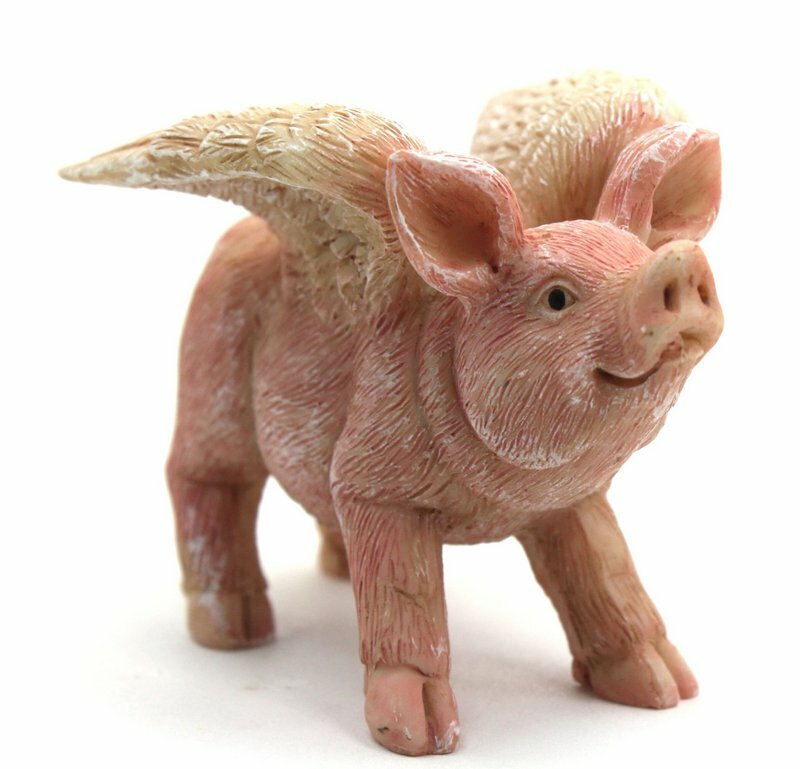 See them here with all our great fairy garden supplies!